One of the interesting things about purchasing items on ebay is having a product arrive which is not exactly how the description said it was. In this case I ordered a 16 character 2 line lcd hat for a raspberry pi. What arrived is definitely "a" display hat, yet there are several differences between what arrived, and the Adafruit 1602 LCD hat I was expecting. After a lot of effort, web searching, and trial and error. I have found out, what I received is a, or clone of, a Sainsmart 1602 i2c hat. Looking on Amazon, eBay, etc you will find many people ranting about the issues they have using this display hat. Before I spent this time to figure it out, I almost was one of those to prepare a rant. This was as simple as installing i2c-tools. Running the command i2cdetect -y 1. 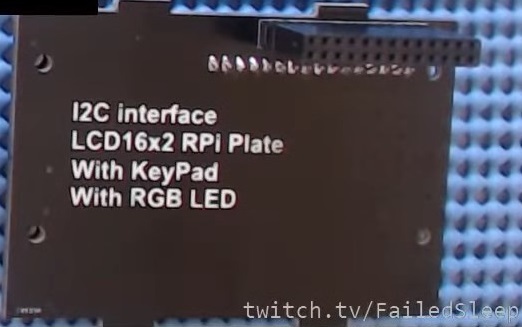 If you are using an older Raspberry Pi 1 series you will probably need to change that command to i2cdetect -y 0. After which it showed the LCD hat was connected at 20h. Since the module we are going to use requires compiling you need to make sure you have "make" and "node-gyp" installed. 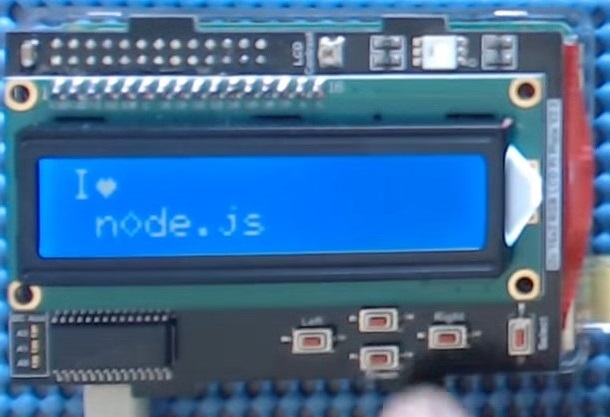 After installing the tools a simple npm install of Adafruit's "adafruit-i2c-lcd" will get you almost done.